The gang swore a blood oath to destroy Precinct 13... and every cop in it! A cop with a war on his hands. His enemy... an army of street killers. His only ally... a convicted murderer. A White Hot Night of Hate! 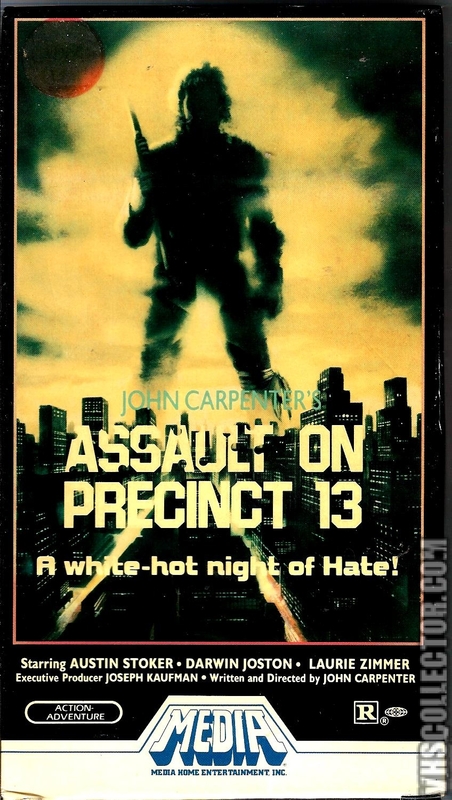 Assault on Precinct 13 is a 1976 American action thriller film written, directed, scored and edited by John Carpenter. It stars Austin Stoker as a police officer who defends a defunct precinct against an attack by a relentless criminal gang, along with Darwin Joston as a convicted murderer who helps him. Laurie Zimmer and Tony Burton co-star as other defenders of the precinct. Writer/director Carpenter was approached by J. Stein Kaplan to make a low-budget exploitation film for under $100,000 but with total creative control. Carpenter wrote The Anderson Alamo, inspired by the Howard Hawks Western film Rio Bravo and the George A. Romero horror film Night of the Living Dead. Shot in winter of 1975, production went smoothly and finished on time and on budget. Despite controversy with the MPAA over the explicitly violent and infamous "ice cream" scene, the film received an R rating and opened in the United States on November 10, 1976. Assault was met with mixed reviews and unimpressive box-office returns in the United States. However when the film premiered in the 1977 London Film Festival, it received an ecstatic review by festival director Ken Wlaschin that led to critical and popular acclaim throughout Europe. It gained a considerable cult following and was later re-evaluated in America as one of the best action films of its era and of Carpenter's career. A remake appeared in 2005, directed by Jean-François Richet and starring Ethan Hawke and Laurence Fishburne. Although the film's title is Assault on Precinct 13, the action mainly takes place in a police station referred to as Precinct 9, Division 13, by Bishop's staff sergeant over the radio. The film's distributor was responsible for the misnomer. Carpenter originally called the film The Anderson Alamo before briefly changing the title to The Siege to shop to distributors. [a 2] The film was acquired by Irwin Yablans. During post-production, however, the distributor rejected Carpenter's title in favor of the film's present name. The moniker "Precinct 13" was used in order to give the new title a more ominous tone. When the film became popular in Britain, Michael Myers of Miracle Films purchased the British theatrical distribution rights. The most infamous scene in the movie occurs when a gang member, without hesitation, shoots and kills a little girl standing near an ice-cream truck. The MPAA, headed by Richard Heffner at the time, threatened to give the film an X rating if the scene was not cut. Following the advice of his distributor, Carpenter gave the appearance of complying by cutting the scene from the copy he gave to the MPAA, but he distributed the film with the "ice cream truck" scene intact, a common practice among low-budget films. Carpenter regrets shooting the ice cream scene in such an explicit fashion: "…it was pretty horrible at the time … I don’t think I’d do it again but I was young and stupid." Assault has received nearly unanimous praise from critics in the years since its release, emphasizing John Carpenter's resourceful abilities as director, writer, editor and music composer, Douglas Knapp's stylish cinematography as well as exceptional acting from Austin Stoker, Darwin Joston, Laurie Zimmer and Tony Burton. On August 18, 1979, Vincent Canby of The New York Times wrote, "[Assault] is a much more complex film than Mr. Carpenter's 'Halloween,' though it's not really about anything more complicated than a scare down the spine. A lot of its eerie power comes from the kind of unexplained, almost supernatural events one expects to find in a horror movie but not in a melodrama of this sort … If the movie is really about anything at all, it's about methods of urban warfare and defense. Mr. Carpenter is an extremely resourceful director whose ability to construct films entirely out of action and movement suggests that he may one day be a director to rank with Don Siegel." In April 1980, Jeffrey Wells of Films In Review wrote, "Skillfully paced and edited, Assault was rich with Hawksian dialogue and humor, especially in the clever caricature of the classic 'Hawks woman' by Laurie Zimmer." In 1986 Tom Allen and Andrew Sarris of the Village Voice described the film as "one of the most stylishly kinetic independent films of the 1970s." In May 1988, Alan Jones of Starburst wrote, "Bravura remake of Rio Bravo." In November 1996, Dave Golder of SFX magazine hailed the film as, "A superb, bloody thriller about a siege in an abandoned L.A. cop station." In his book The Horror Films of the 1970s, John Kenneth Muir gave the film three and a half stars, calling it "a lean, mean exciting horror motion picture... a movie of ingenuity, cunning and thrills." Mick Martin & Marsha Porter of the Video Movie Guide gave the film four and a half stars out of five, writing, "…John Carpenter's riveting movie about a nearly deserted L.A. police station that finds itself under siege by a youth gang. It's a modern day version of Howard Hawks' Rio Bravo, with exceptional performances by the entire cast." In 2003 Dalton Ross of Entertainment Weekly described Assault as "a tight, tense thriller … Carpenter's eerie score and Douglas Knapp's stylish cinematography give this low-budget shoot-out all the weight of an urban Rio Bravo." Leonard Maltin also gave the film three and a half stars out of four: "A nearly deserted L.A. police station finds itself under a state of siege by a youth gang in this riveting thriller, a modern-day paraphrase of Howard Hawks' Rio Bravo. Writer/director Carpenter also did the eerie music score for this knockout." Despite the universal acclaim, Assault is not without criticisms and detractors. Tim Pulleine of the Guardian described the film as superficial despite successfully meeting the requirements of the genre. Brian Lindsey of Eccentric Cinema gave the film 6 out of a scale of 10, saying the film "isn't believable for a second — yet this doesn't stop it from being a fun little B picture in the best drive-in tradition." 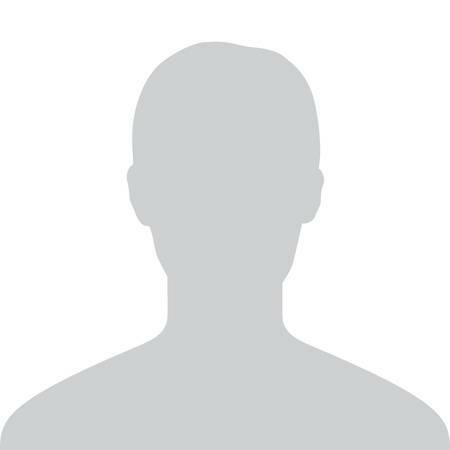 As of June 3, 2012, Assault currently has a 97% fresh rating on Rotten Tomatoes, Carpenter's highest rated film as writer/director on the website. The RT consensus is: "Lean, taut and compellingly gritty, John Carpenter's loose update of Rio Bravo ranks as a cult action classic and one of the filmmaker's best."